We are very proud to support Limerick swimmer, Fiona Doyle, as she prepares to go all the way at the 2016 Rio Olympics. We can’t help being excited as her mum, Mary Doyle, has worked at Gift Innovations for more than 10 years! Gluing all of this effort together was a family dedicated to feed, taxi, and support Fiona with care and love. Fiona, and her family have made great sacrifices. 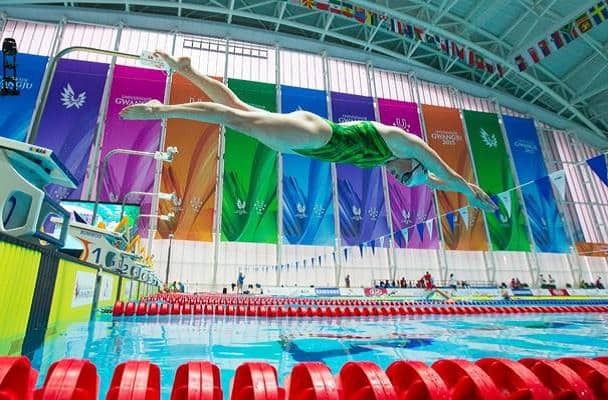 At the age of 17, during Leaving Certificate year, she left her native Limerick and moved to Dublin to train with the best swimmers in Ireland. She then moved to Canada to take up a sports scholarship at the University of Calgary. The University offered a proven track record of producing world class swimmers and Olympic medallists. The opportunity to train and compete regularly at world class events – including the Canadian & US Olympic Trial meets, was the ideal platform for world class swimmers like Fiona to reach their potential. A Silver and a Bronze medal at the 2015 World University Games show us that she is reaching her potential at just the right time for the 2016 Rio Olympics. While she finished at the University in December 2015, she still coaches their age group squads, honing their technical skills and motivating them to greater success. We want to recognise Fiona for her commitment and hard work and for her achievements. 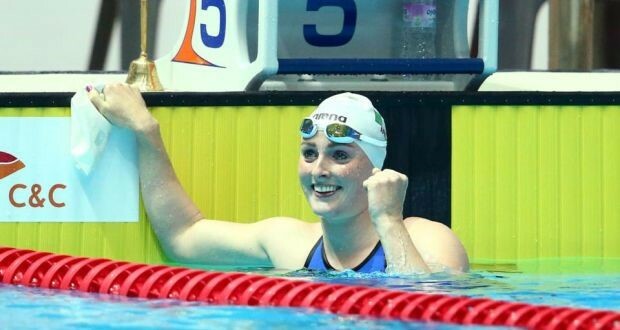 While her success could not have been achieved without all of her hard work, she would be the first to recognise the support of her family, of the Sports Council (Ireland) and Swim Ireland, and professional guidance from trainers, sport psychologists and nutritionists in Ireland and Canada. She is the perfect example of what can be achieved with hard work and great team support. The Olympics are almost upon us and Fiona needs all our support to help her reach her goals and fulfil her dreams. The team at Gift Innovations are cheering @fionamdoyle and her team all the way to the Olympics.